She added European leaders had in fact expressed a desire for closer collaboration with China. 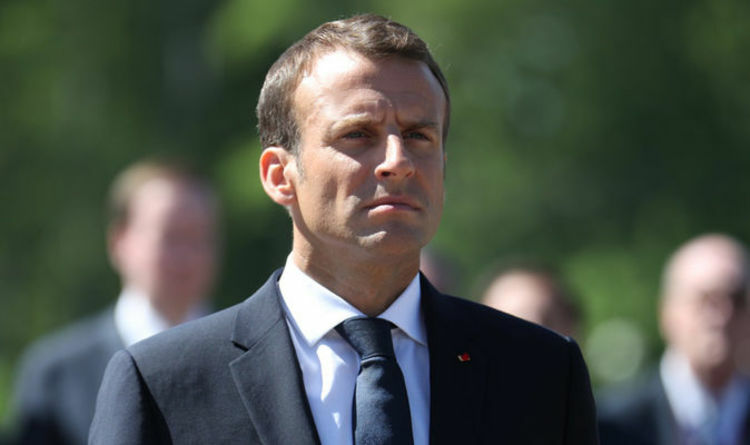 Discussing the growing dangers from cyber-hacking, meddling in electoral processes and the US decision to withdraw from a missile treaty, Mr Macron told Europe 1 radio last week Europe needed to “protect itself against China, Russia and even the United States”. But his proposal received mixed reactions. While Russia’s Vladimir Putin said it made sense for a powerful economic bloc like the EU to want to defend itself militarily, Mr Trump slammed the idea as “very insulting”. The Elysée Palace scrambled to quell the controversy, saying Mr Trump’s rebuke had been founded on a “misunderstanding” and that Mr Macron had been referring to computer hackers who could attack Europe from anywhere, including from inside the US. But French efforts to appease Mr Trump were to little avail. On Tuesday morning, the US leader attacked Mr Macron again. In a series of blistering tweets, he mocked France over its near defeat to Germany in two world wars, slammed French wine tariffs as “unfair” and taunted the young leader over his tepid approval ratings. Brushing off Mr Trump’s Twitter rants, Mr Macron continues to insist his idea for an EU army shows European willingness to meet US demands that the bloc take its defence into its own hands. German Chancellor Angela Merkel has backed her ally’s plan, calling on Tuesday for an integrated EU military. Mrs Merkel told the European Parliament that such an army would not undermine the US-led military alliance NATO, but would be complementary to it.